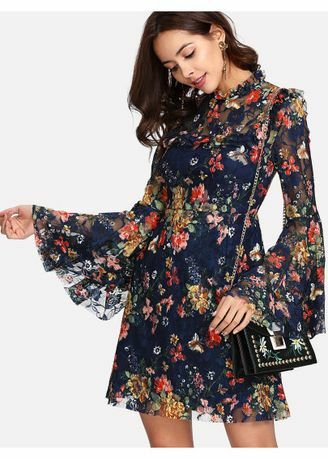 A floral printed dress with sheer sleeves and neck line. The neckline is a bow tied and has bell shaped sleeves. Looks classy and stylish in itslef and can be paired will classic heels.